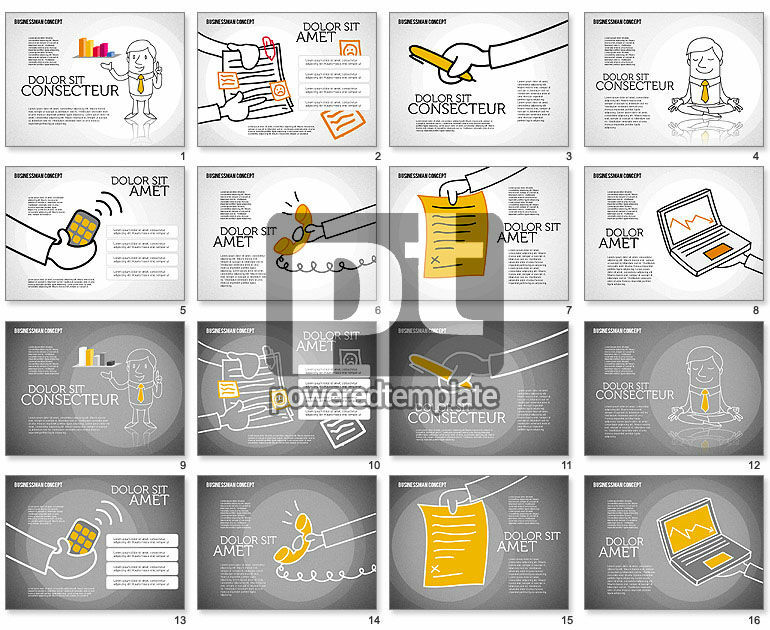 These presentation slides 44177 are complete compatible with Google Slides. Simple download PPTX and open the template in Google Slides. Meet this incredibly nice and cute template created in a positive hand drawn style with a businessman shown in different situations, working and relaxing. This fabulous theme will perfectly suit presentations in spheres of business because of its nice style. Use it to make action plans, visualize step by step actions, to do lists, timetables, time management and self-management concepts and so on.